The Fire announced Saturday the team had acquired Grant Ward on loan from Tottenham Hotspur for the remainder of the remainder of the season. The 19-year-old midfielder is a product of the Tottenham Academy and played for the Fire during the preseason, scoring two goals against MLS teams. The England native will remain in the U.K. as he recovers from a surgery that repaired his fractured fifth metatarsal, according to the Fire. Ward is just one of many young players the Fire have acquired since Yallop was hired. Others include Santos Laguna’s Benji Joya on a loan, Marco Franco through the SuperDraft and Homegrown Players Harrison Shipp and Chris Ritter out of Notre Dame and Northwestern, respectively. 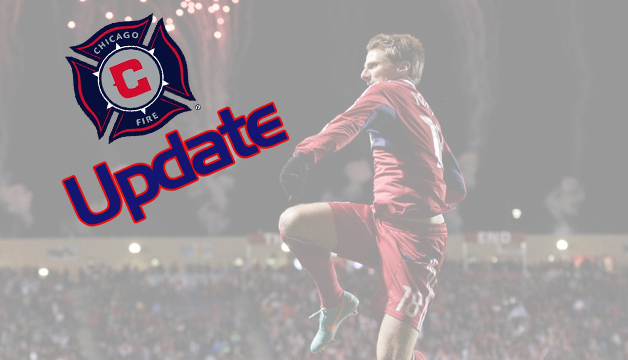 The Fire will play Tottenham in a friendly at Toyota Park July 26. The English side will also make stops to play Seattle Sounders FC and Toronto FC. ← What went wrong for the UIC Flames?